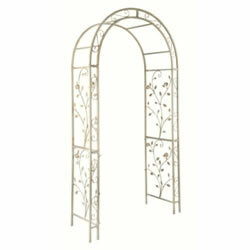 The Gardman English Rose Arch - a traditional style iron garden arch with an elegant design rose design. Measures - 2.35m high by 1.2m wide. 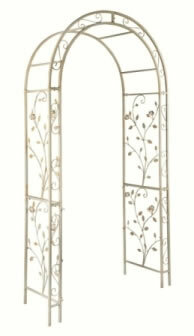 Strong iron construction with a painted cream finish. An attractive creamy, white coloured finish.